AIZAWL, March 19: Taking strong exception to the disclosure of the identities of minors accused in the lynching of a 16- year-old boy at Khawzawl on Sunday, the Chairperson of the Mizoram State Commission for Protection of Child Rights today wrote a strongly-worded letter to the Champhai SP, under whose jurisdiction Khawzawl falls, asking him to find out the persons responsible for this. 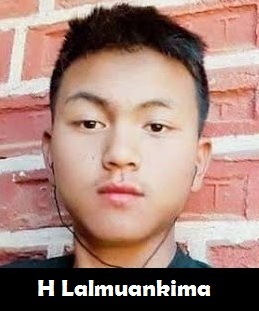 As has already been reported, H Lalmuankima (16) of Tualpui village, who was appearing in his matriculation examination at Khawzawl, was beaten up by a group of young boys on Sunday evening. The teenager succumbed to multiple injuries at the hospital a few hours later. Later, on Sunday night, the news about the Khawzawl Police arresting eight accused, along with their names, ages and fathers’ names, circulated on the social media. All the accused are under the age of 18. The Commission Chairperson, Sangzuali Vanchhawng, in her letter, stated: “Whereas all the accused apprehended by Khawzawl police are juvenile, i.e. below 18 years of age, their identity is widely circulated on social media, viz, Facebook and WhatsApp.” The disclosure of the identities of the juvenile accused is blatant violation of Section 74 of the Juvenile Justice Act 2015 and this Commission has viewed the matter seriously, the letter said. As the information disclosing the identities of the accused that has been leaked in the social media “seems to have originated from the police report in view of the writing style and its contents,” the Commission requested the Champhai SP to find out the persons responsible for this, take disciplinary action against them immediately and report the same to the commission. The Commission Chairperson disclosed this during an interaction with media persons in which the NCPCR’s handbook for media professionals was distributed among journalists.